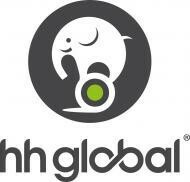 HH Global Ltd., founded in 1991, is a leading, independent Marketing Execution partner to prominent brands in 43 countries. The company offers innovative solutions for the outsourced procurement of all types of printed marketing materials and packaging, and creative production services, that drive down cost, speed time to market, improve quality, and increase sustainability. Every HH Global solution combines managed services with its best-in-class technology platform, HHub, an expansive network of suppliers, proprietary processes, and the deep expertise of over 850 employees. The company also operates HH Labs, an innovation center bringing fresh, new ideas to clients. With more than $500M in spend under management, HH Global maintains a razor-sharp focus on cost and quality, combined with an industry-leading sustainability program, providing improvements that benefit businesses from both a fiscal and environmental perspective.